Kennel cough in dogs is a group of contagious respiratory diseases which can be caused by certain bacteria and viruses. Kennel cough, also known as infectious tracheobronchitis, Bordetellosis, or Bordetella, is not one disease. Rather, it is a group of highly contagious upper respiratory diseases in dogs. The infection tends to affect young puppies and adult dogs with weakened immune systems. It can spread rapidly in crowded places such as boarding kennels, hence the name “kennel cough”. In most cases, kennel cough in dogs is rather mild and not life-threatening. An infected dog will usually get over the cough in 1 to 2 weeks even without treatment, provided that the dog has plenty of rest in a stress-free environment. There are several viruses and bacteria, alone or in combination, that can cause kennel cough in dogs. The most common virus that causes kennel cough is canine parainfluenza virus, and the most common bacteria is Bordetella bronchiseptica. A dog gets kennel cough by inhaling the airborne germs spread from an infected dog through sneezing and coughing. Canine parainfluenza virus usually causes mild symptoms in dogs that last for less than 6 days. A dog infected with the bacteria Bordetella bronchiseptica usually shows symptoms 2 to 14 days after exposure, and the symptoms will last around 10 days. As such, infected dogs should be kept isolated from other dogs for at least 14 days. They are most contagious in the first 7 to 10 days of showing symptoms. What are the risk factors for a dog to get kennel cough? One typical symptom is an unproductive, harsh, dry, hacking cough, which is often accompanied by gagging and retching. The dog may also have a runny nose and/or eye discharge. In puppies, they may also have nasal congestion. In spite of the cough, if a dog is only mildly infected, the dog usually is still active and alert, has a good appetite, and a normal body temperature. The dog will also have a moist productive cough, nasal discharge, wheezing and difficulty breathing. 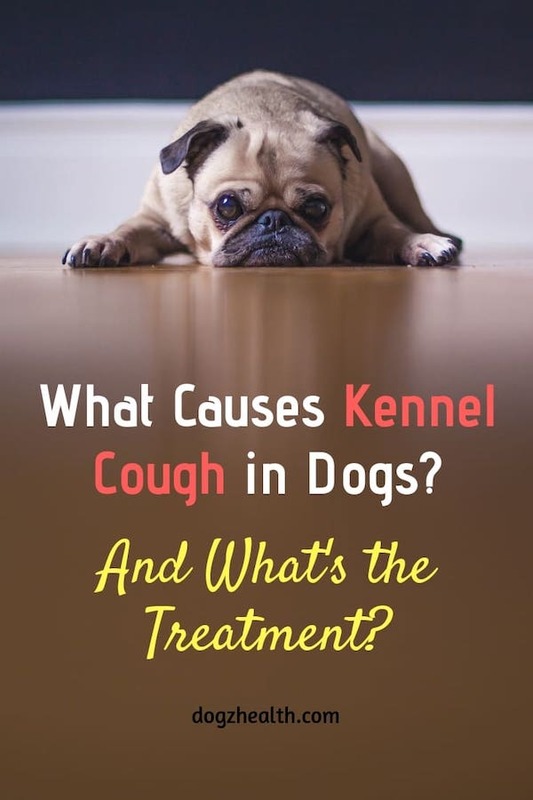 Dogs suffering from tracheal collapse, bronchitis, or other pre-existing diseases that may lower their resistance to infections are more likely to develop secondary bacterial pneumonia from kennel cough. 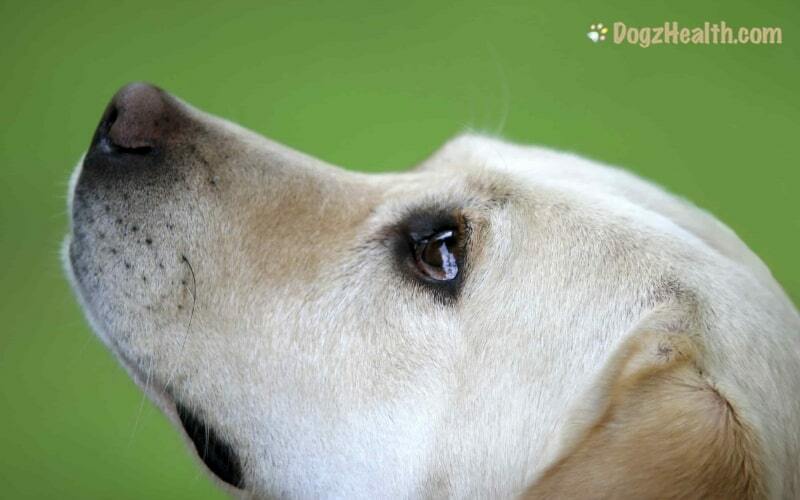 Conventional treatment of kennel cough in dogs depends on how serious the infection is. For dogs with a mild case of kennel cough, the vet may just let the disease run its course. The vet may just use cough suppressants (such as Robotussin) to treat the mild cough. Dogs mildly infected with kennel cough can still have moderate daily exercise such as walking, but should avoid strenuous exercise for a while. Some vets, on the other hand, may choose to prescribe antibiotics even for mild cases of kennel cough. The drugs of choice are the tetracyclines and trimethoprimsulfa. The dog will have to be on the antibiotics for 7 to 10 days. Using antibiotics for mild cases of kennel cough is of course not a good practice. Antibiotics should only be used for cases where the dog more severe and persistent symptoms, such as a fever, and a bad cough. For more severe cases (cases in which the dog is not eating, running a fever, or showing signs of pneumonia), the dog will have to stay at a doggie hospital. The vet will use intramuscular or intravenous antibiotics and sometimes bronchodilators (drugs that dilate the breathing passages) to help the dog. Strict cage rest is required and try to keep the sick dog as stress-free as possible! Honey and Coconut Oil for Kennel Cough? According to the Whole Dog Journal, honey and coconut oil are two extremely effective remedies to help dogs with kennel cough. Both honey and coconut oil have antibacterial, anti-viral, and anti-fungal properties, and of course honey is soothing to the throat. If your dog has a mild case of kennel cough, give half to one teaspoon of honey 3-4 times a day. Also give 1 teaspoon of coconut oil per 10 pounds of body weight per day. Please visit this page for some more suggestions on treating kennel cough at home. In addition to using medication to treat kennel cough, also consider using a cool mist vaporizer to add moisture to the air. This can soothe the dog’s airway and make him more comfortable. Because pressure on the throat and trachea can worsen the cough, avoid putting a neck collar on a coughing dog – use a head collar or harness instead. Also, if your dog has been treated with antibiotics, be sure to give a probiotic supplement to the dog to help re-balance the gut flora.